Large selection of font families available. 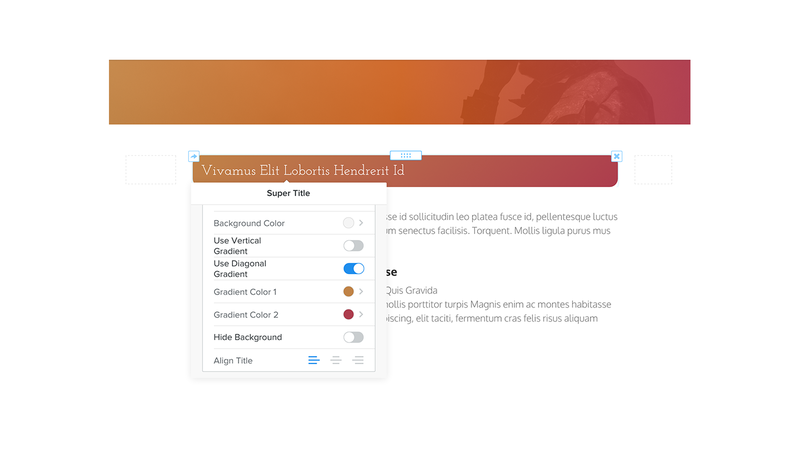 Modify colors, add background, style border and more. 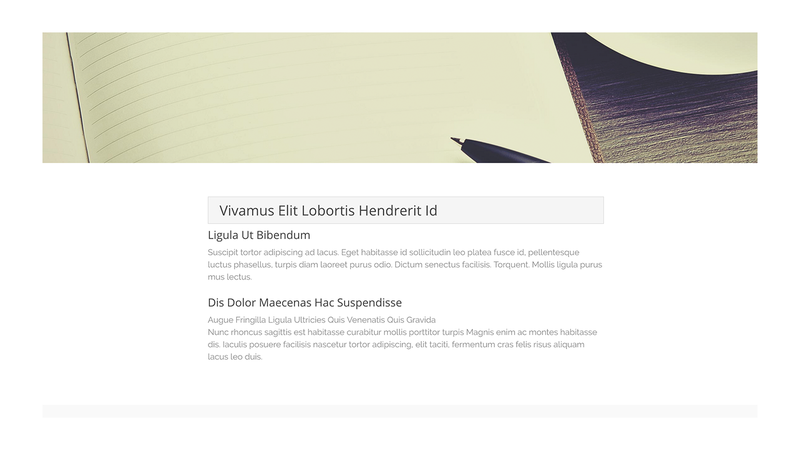 Super Titles gives you the option to add all html Heading levels available (from h1 to h6), which are a great addition to not only the style of your page but also work as great seo friendly and required title tags. 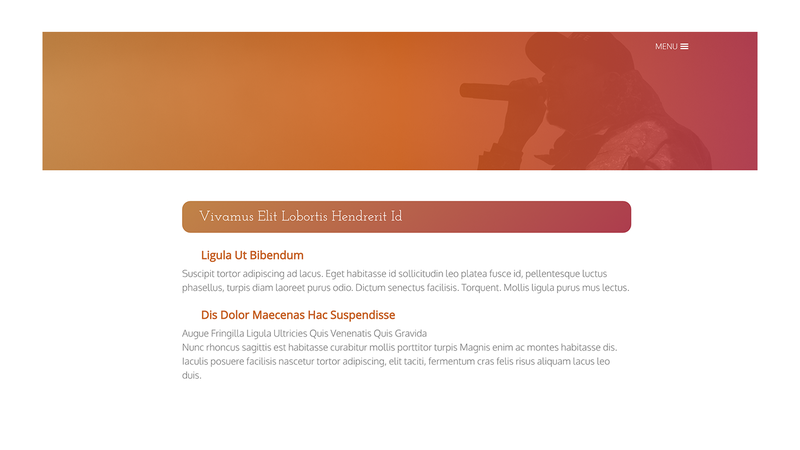 Additionally styling options have been added to give you more flexibility in your design. C'mon weebly. Why are all the apps you make so damn glitchy. It becomes extremely frustrating trying to do something that would normaly take you 5 minutes to do, oppose to an hour due to the slow, almost non functional feature. It's OK does it's job of adding the H1 element however the devs really need to address the issue of the app lingering around of you so much as click one on the headlines you've made. It's annoying and invasive and depending what mood it's in, sometimes you are required to leave the page and come back. It's cheap however so what do you expect. 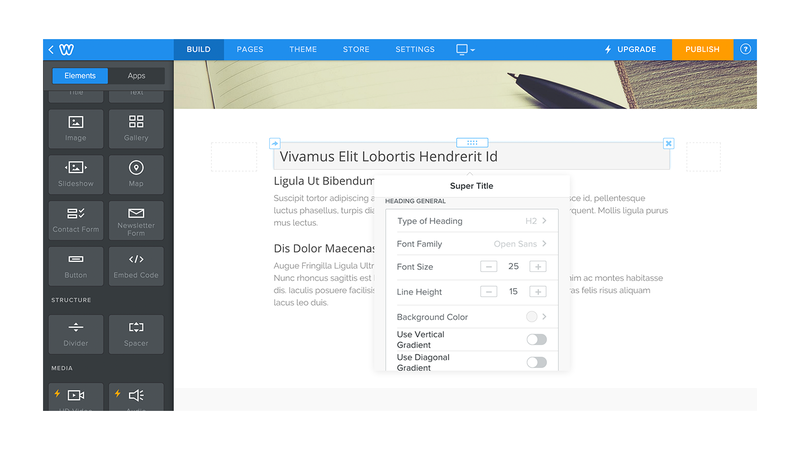 The super title settings module should be an add on to the weebly text settings module instead of an entirely separate box. it doesn't really do anything special. I was hoping it would have some options, like revolving headlines or something - it doesn't do much really. Just another similar headline build tool. Have found it very useful, and also has great selection of options, but also has the 'friendly' aspect - keeps hanging around even when you have finished using it. I find that I often have to exit the site in order to clear it. It's good to have the ability to add titles quickly, however I think i may go back to using the embed code option. Once you add the title using this app it's very tricky to edit plus the edit box keeps popping up and obscuring the area you're trying to work in , there's apparently no way of closing it once it's open other than to refresh the screen. It's super annoying . Why Weebly does not include this in their basic tools is incomprehensible. I got my h1-h3 tags in place in about 1.5 hours for 7-8 pages. Could use better instructions and, especially, some demo videos, especially if you want to customize the look--there are lots of choices that are obscure to layman. Right now I cannot edit the Title. I have to delete the old one a create a new one. I mailed a while ago, but didnt get an answer. The H1 works for me, but: - can´t change the colour of the H1 (looks correct in preview, but not online) - the distance between lines on the mobile is far to large, but looks ok on desktop - on mobile, it doesnt break long words, so they appear to get "cut" (not visible) I can live with the wrong color, but the line distance on mobile and the words getting cut is a huge issue. Looks crap. Anybody with ideas to solve this?